Every two weeks our hosts Jaimie Cudmore and Chris Shee from Literacy Quebec explore topics around community building, lifelong learning and literacy for english-speakers in Quebec. This week's theme we highlight community-based Learning through stories and art, through the Verdun Stories Project. Chris had the chance to chat with some of the organisers and contributors to the project at the launch of their first edition on March 2, 2019, in Verdun, Montreal. Also, we share the many upcoming literacy events submitted by our member organisations. We are still looking for runners and volunteers for the charity run in Montreal on April 27th. Listen to Episode 2 of the podcast directly here. 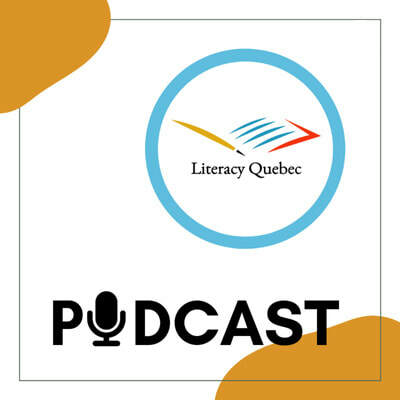 Introducing the Literacy Quebec Podcast! 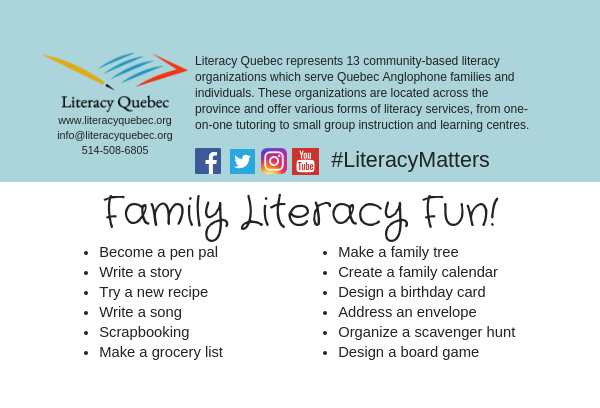 Welcome to the first episode of Literacy Quebec! A podcast for english-speaking, lifelong literacy learners in Quebec. Join podcast hosts and LQ's very own Chris Shee and Jaimie Cudmore as they explore the theme of "Defining Literacy" in the first episode. Literacy is more than just knowing how to read and write - it’s about being able to interact with the world around you to your fullest potential. We will have special guests, Margo Legault - Literacy Quebec, Joy Fyckes - Reclaim Literacy, and Rev. Brian Perron - Church of Epiphany. We also will share submissions from Ruth Thomas - South Shore Reading Council, Cheryl Henry-Leggo - Gaspesie Literacy Council, Wendy Seys - Yamaska Literacy Council, and Michele Gagnon - Western Quebec Literacy Council. The episode ends with announcements of upcoming literacy events in Quebec. We are working on our sound and editing! Thanks for being a part of this journey! Upcoming Events: Help raise money as a runner or volunteer for Literacy Quebec's member organisations by taking part of the Scotia Bank marathon charity fundraiser! For more information email Chris at admin@literacyquebec.org and by checking out more info here. Mark your calendars because Episode 2 is already scheduled to launch March 14th! In the West-Island of Montreal, outrage recently broke out over the local library. As part of the Pierrefonds-Roxboro Library's $24.4-million library renovation project, they decided to build a drive-thru book drop off/return slot. This would mainly serve parents who have to leave their children in idling cars while returning books or elderly citizens who must find parking in order to simply return their books. A local councillor has opposed the idea, saying it’s “an aberration”. Christine Gosselin says, "Culture prides itself on being the fourth pillar of sustainable development, so we wonder how, in 2018, we can integrate a drive-thru return service into a library." She is afraid that a change of this nature will discourage people from entering the space. I agree, change is often uncomfortable. However, I believe that libraries are the spaces most equipped to accommodate change. In fact, they have always changed and evolved to accommodate us. When we borrow books, we borrow their beauty. For a moment, the stories, the words on the page are ours. They provide us a temporary sanctuary for free and ask nothing in return except that we give the people after us the same chance - this is the art of borrowing. When we return the books, we keep the lessons they teach us. The knowledge stays with us and the library remains as we return again and again. When Coun. Gosselin expresses doubt about change in her local library, she underestimates the resilience of these institutions and their sheer staying power. Libraries are made to bend just like the books they contain. I mean, have you seen some of the older books in libraries? Pages are ripped and filled with writing. Margins are packed with amateur annotations and their spines are held together by what seem to be some sort of divine miracle...Yet, they remain. In 2014, Ursula LeGuin spoke to this and gave a speech about the power of writing. In a world where hope seems at times, elusive, libraries remind us that change is always possible. In a world where systems seem inescapable, libraries remind us that change is possible. In a world that occasionally forgets about the power of imagination, libraries remind us of our possibility. In a world where trust is rare, libraries remind us that we can trust them to stay. And that’s what we keep with us even after everything is returned. One remarkable thing about reading is that it gives us the power to travel anywhere we please. Where, in your deepest desires, do you wish to go? Over the past months, I’ve been visiting Three Pines – that is, the setting for author Louise Penny’s 13 best-selling novels. If you wish, let’s travel there for a moment with the novel’s main character Inspector Armand Gamache. Armand Gamache looked across to the deep green midsummer forest and the mountains that rolled into eternity. Then his eyes dropped to the village in the valley below them, as though held in the palm of an ancient hand. A stigmata in the Quebec countryside. Not a wound, but a wonder. The walls were lined with bookcases filled with hardcovers and paperbacks. With fiction and biography, science and science fiction. Mysteries and religion. Poetry and cookbooks. It was a room filled with thoughts and feeling and creation and desires… A black cast-iron woodstove sat in the center of the room, with a kettle simmering on top of it and an armchair on either side. Recently, I had the privilege of interviewing Louise Penny for Literacy Quebec. It was a wonderful experience. She is as generous in conversation as she is in her stories. I had to refrain from pinching myself the whole time. Louise Penny is a New York Times Best-Selling author whose novels have been published in 23 languages. She is also the patron for one of our members, Yamaska Literacy Council. As the patron of YLC, she has published a novella called The Hangman which is specifically geared toward emerging readers and adult learners. 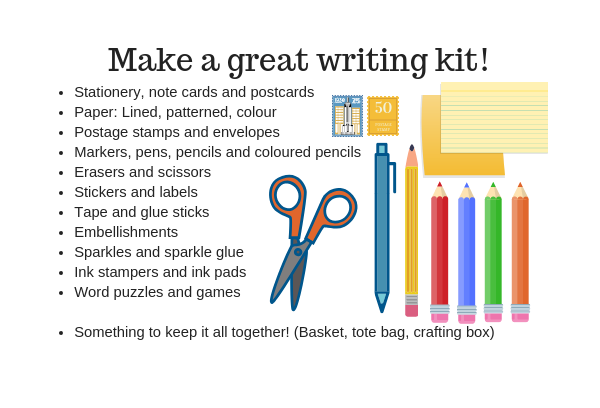 It deals with adult themes and challenges at a Grade 3 writing level. This gives learners the opportunity to strengthen their reading skills without having to resort to children’s books for practice. They have the chance to join Inspector Gamache and travel to Three Pines. A cup of coffee is always the best when paired with a good book. 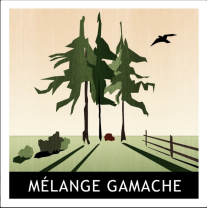 Virgin Hill Coffee Roasters, a local Brome Lake family-owned business, created the Gamache Blend in tribute to their favorite author. The special thing about the Gamache blend is that for every bag sold, Virgin Hill donates $1 to the Yamaska Literacy Council. 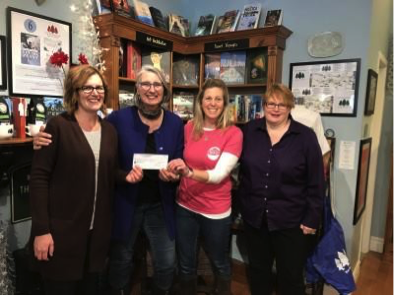 To top it off, Louise Penny matches these donations to support YLC programs. Today is World Book Lovers Day. On this day especially, I’m reminded of moments from my conversation with Louise Penny, a fellow book lover. "Books can feed the heart, feed the spirit…not just the mind", she said. 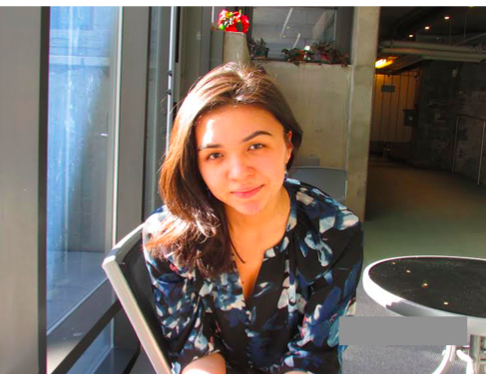 As an avid reader and of course, an avid writer, Louise is passionate about literacy. The first level of literacy is functional – reading a medicine label, writing a cheque, etc…"but what about making reading a joyous experience?" Louise asked, in our conversation. Yes. Let’s aim higher for literacy and the power of reading…"You can think of reading as more than just a tool to survive the day with…Ultimately, you want people not only to survive, you want people to thrive". Books have the power to take us there - "Books have the power to take us to places we can't normally go…so how awful it is to have a huge percent of the population not invited on the voyage". 42 percent of adult Canadians have low literacy skills. Thus, many are also less able to view reading as a joyous experience or an opportunity for travel. In an ideal view of the future, through Louise Penny’s eyes, "We all need to be able to be given the ticket to at least have the choice to go anywhere in the world through what we read…or go anywhere inside ourselves for that matter...Novels and reading can take us to places inside ourselves, help us to understand ourselves, human nature, compassion for others, and what makes others tick - that's what books can do. If you can't read, it's so much harder to get to those places." With this said, organizations such as Literacy Quebec and our 13 members continuously strive to make our services as accessible as possible for those who need them. And Louise Penny is right by our side. If you visit her website, you will find a wealth of resources for emerging readers, aspiring writers and devoted readers alike. "Persevere. Believe in yourself", she writes as one of many tips to getting published. During her Hugh McLennan lecture at McGill University this past April, she shared her morning ritual. A quotation hangs above the dining room table where she writes that says, Noli Timere, the last words of Irish poet Seamus Heaney. Noli Timere is Latin for ‘Be not afraid’. Here’s the thing: Three Pines is a fictional town. As in, it only exists on the page and in our imagination. Louise Penny told me, "Three Pines is an interior place, it's an allegory for kindness and the fact that goodness really does exist as a place of peace and comfort. It doesn’t mean that bad things don't happen there but rather, that they are survivable through community and belonging. It represents the certainty that goodness not only exists but will triumph". Three Pines is within us. When we read, we travel to a new place, to a point B. Yet, that new place also becomes an extension of point A: ourselves. We are all invited to embark on the journey of reading and together, we can conquer any fear of flying. Step by step, we can fill the pages of our literary passports and explore new worlds between the lines. Noli Timere, dear friend.